March hasn't been all about birthday parties. We have had some good old fashioned fun in between. Here are some of Jared's smiles from this month. 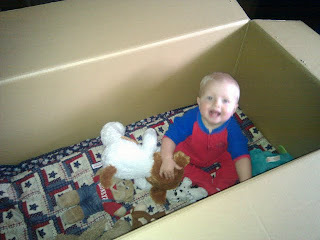 First, we had one very memorable Family Home Evening before we got rid of the box the piano came in. Daddy taught a lesson about Noah, and then Jared "rescued" all of his stuffed animals in the "ark." Jared played Noah for several days after this lesson, and he still tells us about "Oah" and the "art" every time it rains, which is a lot. We haven't let the rain keep us inside. When the rain slows to a drizzle, Jared puts on his exploring hat and rain coat and we go outside to look for puddles, worms, and squirrels. 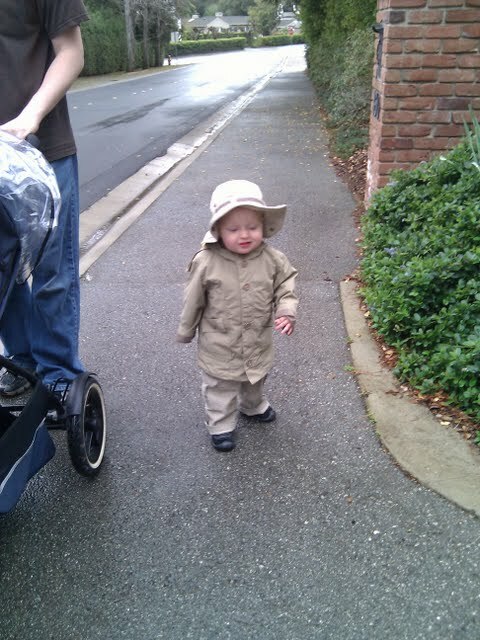 Jared loves to stomp in puddles and throw rocks and sticks in to see them splash. When it is raining too hard to play outside, though, we have to get creative. One day we made chocolate chip cookies to take to friends. 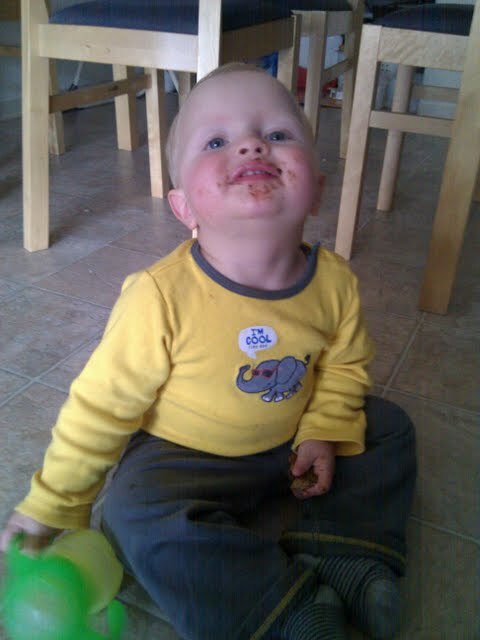 Who knew that a cookie could make such a mess? Even a sticky Jared is still very lovable. Grandma Jill is right; everything is better dipped in chocolate. Jared has been warming up the little baby toys for baby sister. 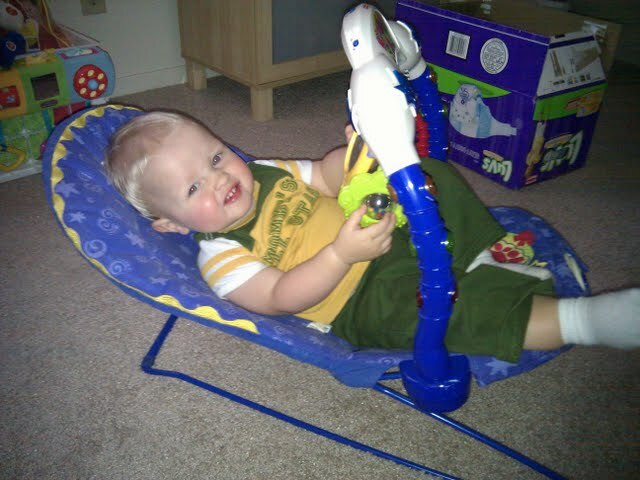 Even though it is creaking under his weight, the bouncy chair still manages to bounce a little bit for him. Jared loves it almost as much now as he did when he was an infant. We hope he will surrender it for Baby Knight 2.0. One day we got creative with the couch and created Couch House. Jared immediately furnished it with the bumbo seat ("baby chair"), several toy cars, an afghan, and his best pal Rufus. If we could get smiles like this all of the time, I don't think we would ever put the cushions back on the couch. Jared is waaaay too big for the bumbo seat and gets stuck every time he gets in it, but he LOVES it. For my part, it has made cutting toddler toenails and brushing reluctant teeth a lot easier, not to mention saving us from a lot of tears from falls on slippery floors when I mop. 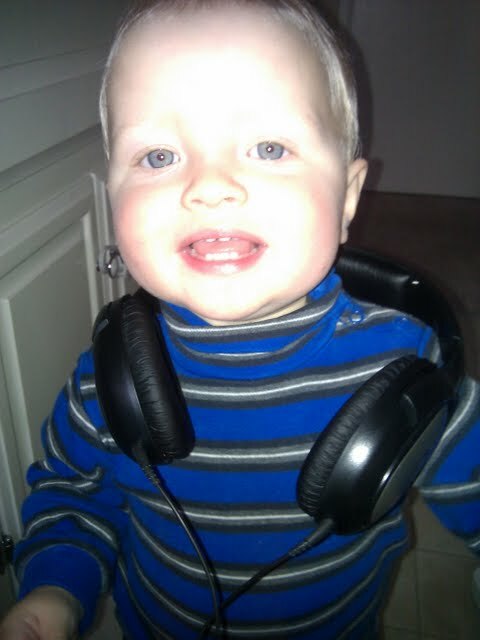 When we aren't making messes or breaking in baby accessories, Jared enjoys listening to some tunes. He has to have his noise canceling headphones because toddlers are easily distracted by extraneous noise. I think Jared looks a lot like his dad in this picture. Maybe all he needed to look like Daddy from the beginning was the right accessory. 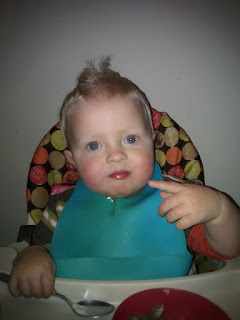 So we made Friday night haircut night for the boys. Once again baby chair came in handy as Jared got his hair cut. Then Jared got to play in the tub while Daddy got his hair cut. Here is the end result. 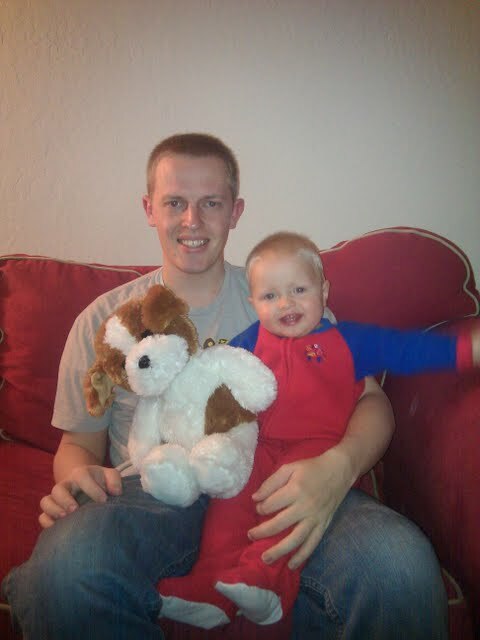 Rufus did not get his hair cut, but Jared decided that he should get in on the picture anyway. These smiles brighten up the long cloudy days. 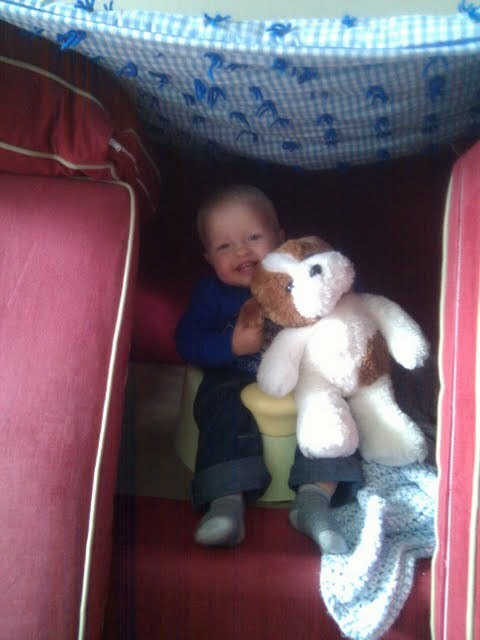 It is a beautiful springtime in rainy San Mateo, especially in the Knight house! 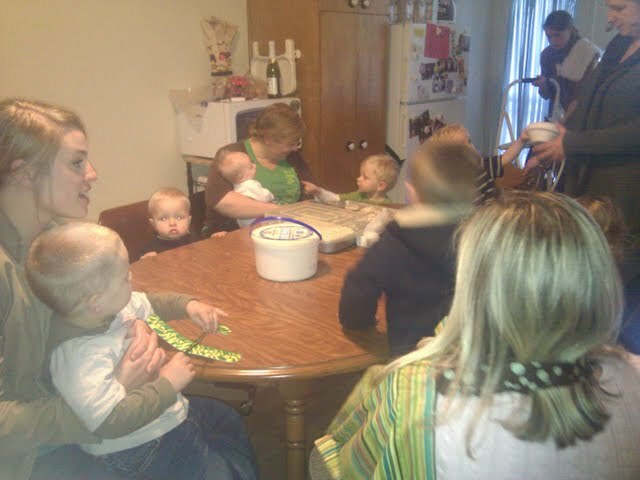 March has been full of birthday parties. On March 5th, my gorgeous friend Meagan had a very important birthday. 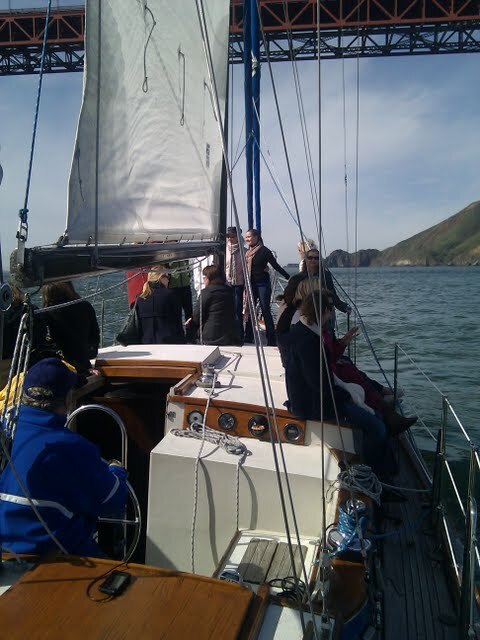 In honor of this special occasion, her husband chartered a sailboat for Meagan and 25 of her closest friends to spend the morning on the bay. It was a beautiful morning on the San Francisco bay. It had been raining for a lot of the week, but the sky stayed clear just long enough for us to go on this incredible excursion. It was a birthday miracle! 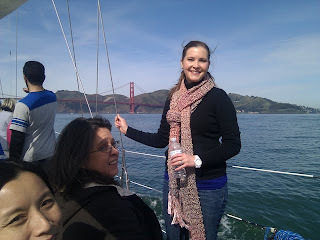 Here is a picture from the back of the boat as we went under the Golden Gate Bridge. 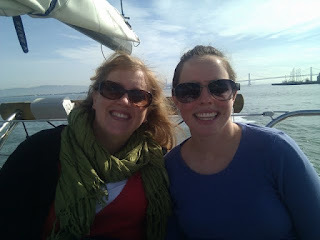 Here am I with Jen on the boat's back seat. The Bay Bridge is behind us. Here is the birthday girl herself, looking fantastic, as usual. Can you believe these amazing views? A thoughtful Benj rounded out his surprise party plans with fully stocked brunch boxes for everyone. 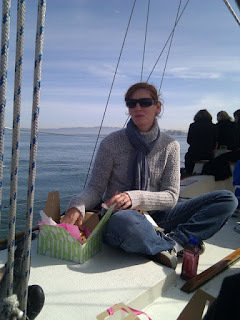 These included stuffed crepes made by Benj himself, deviled eggs, fruit cups, ham and cheese croissants, yogurt, chocolates, and beautiful sailboat cookies, among other things. Here is a picture of Karen with her brunch. This was a really incredible experience. 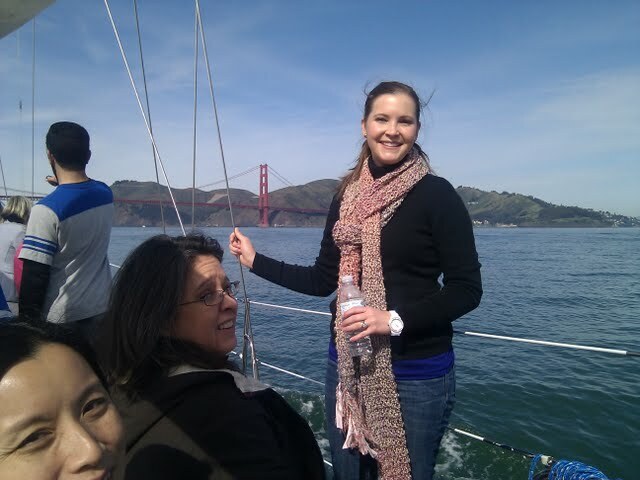 I love sailing, I love the San Francisco Bay, and who better to share it with on a breezy, sunny March morning than all of these fabulous women? I felt like my birthday had come early. 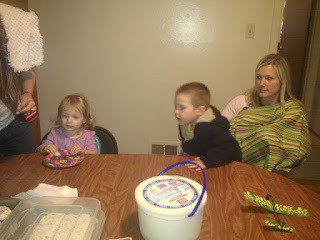 Later on the same day, Jared's friend Maddy had a party for her second birthday. She provided cupcakes (a new word for Jared), and all of our playgroup friends came to the park to play. 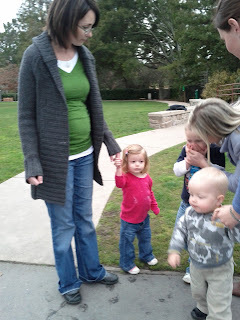 Here is the closest picture we could get to Jared and birthday girl Maddy actually interacting. Jared is starting to play with other kids more and more, but we waited too long to get this picture and he was getting pretty tired. I think there was also a dog running around behind Daddy somewhere, so Jared was a little distracted. I think the highlight of this party for Jared, as much as he loved the cupcakes, was the letter he got in the mail from Maddy a few days later thanking him for coming to her party. He still carries it around asking me to "Ree-rit" (read it). Happy birthday Maddy! If parties for two pretty girls in March wasn't enough, last Thursday we went to another party to celebrate little Ruthie turning two. Jared loved playing with balloons, all of the spoons in her play kitchen, Ruth's collection of stuffed "ah-mows" (animals), and, of course, friends. 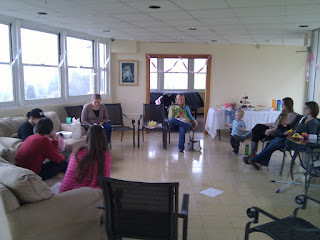 Jared practiced saying "happy birthday" all afternoon the day before this party ("appy dir-day, Roofff! "), but in person he was too shy to say it unless no one was listening. My pictures of this party aren't that great because Jared wasn't too excited about sitting on a swivel chair without a seatbelt ("oat-belt"). You can see him staring me down. This is the group congregated for cupcakes. Jared was less excited about cupcakes at this party when the ice cream emerged. Birthday girl Ruth is on the left. 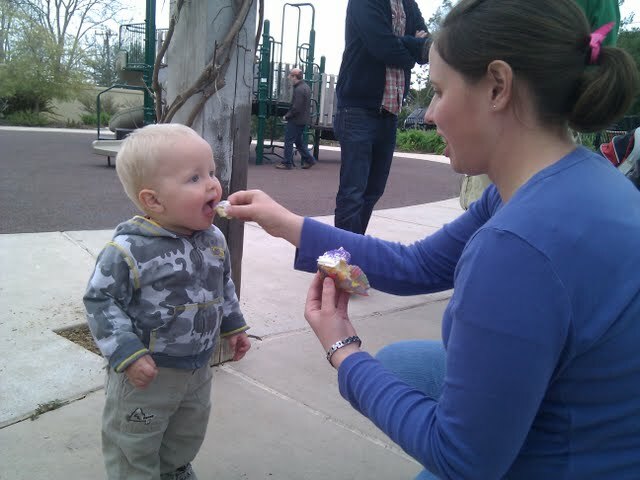 Jake was very eager for a cupcake. 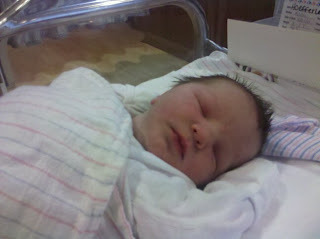 In the March birthday tradition, baby Cade Mial Hoefferle was born to our friends Dan, Katie, and big brother Landon on March 21. Congratulations! He is already a good looking kid. 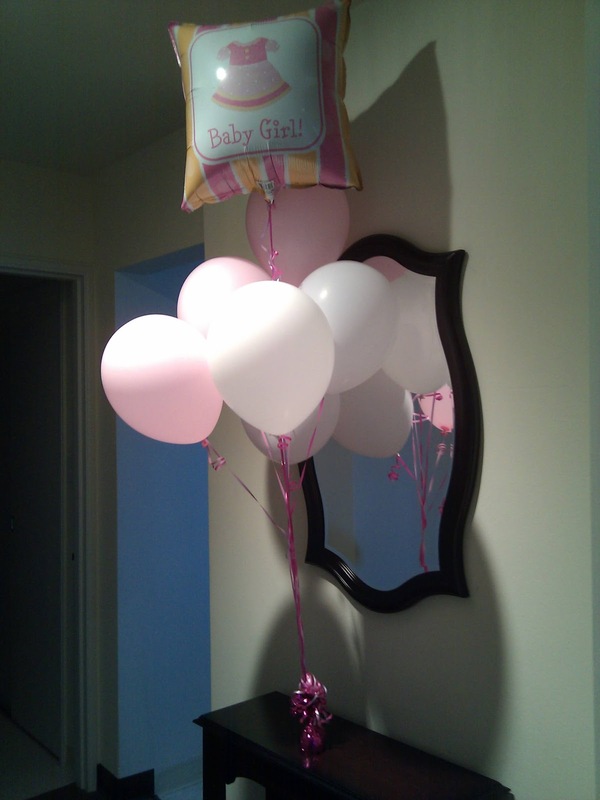 It looks like the only person left who is unwilling to get in on March birthdays is new baby Knight. In spite of all of our best encouragement, she is still riding around comfortably with her head in the clouds. Maybe she is holding out for warmer weather. That could be a long wait. This has been a great week for surprises. On Tuesday, my Valentine's day/ Mother's day/ birthday present showed up. Jared thought it was for him. Most of the time now this is what we see of him. Occasionally we can get him to take a break from his intensive practicing for a little of this. Jared was delighted to discover that his favorite primary songs and nursery rhymes have piano accompaniment. When he isn't playing himself, he is frequently requesting that we play "Mowman" (Once There Was a Snowman) or "Peper Peper" (Peter, Peter, Pumpkin Eater). I am just glad, and I'm sure our neighbors are with me on this, that Todd had the foresight to get a digital piano with volume control. 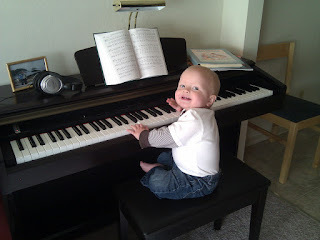 I'm not saying my child isn't a musical prodigy. 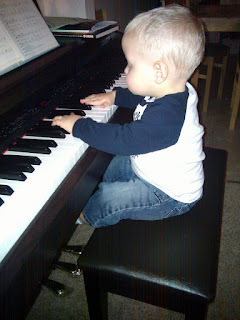 He is very delicate with the piano keys for a child of his age, but the duration and frequency of his practice sessions would otherwise exceed my patience. I have wanted a piano for several years now, so this was a great semi-surprise gift. I'm not a great piano player, but I'm excited to have the chance to practice. Jared's enthusiasm just barely manages to improve on such a perfect present. Thanks Todd! 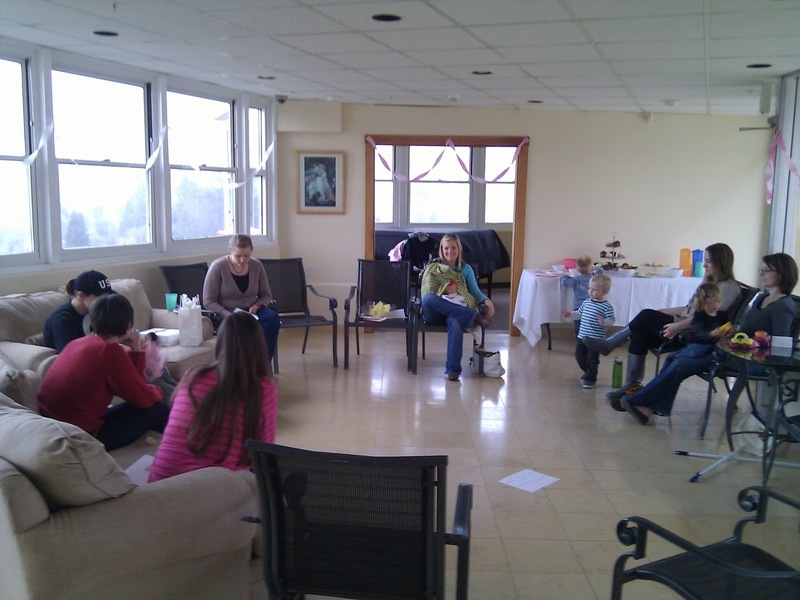 If getting a beautiful new piano wasn't enough, my friends conspired to throw me a surprise baby shower on Wednesday afternoon. I thought that we were going to our regular play group, only to find balloons, treats, and extra friends waiting to surprise me! 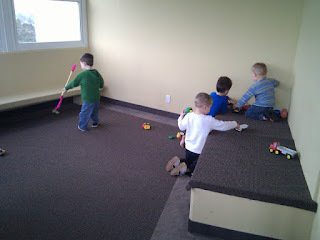 Apparently Todd's sudden anxiety about Jared's socialization had little to do with Jared's development and a lot to do with making sure I went to play group this week. I think he could have made his hints a little more specific so that I didn't arrive breathless and sweaty from running errands, and wearing a ratty old t-shirt. All of my personal unpreparedness aside, don't I have the greatest friends? They thought of everything. 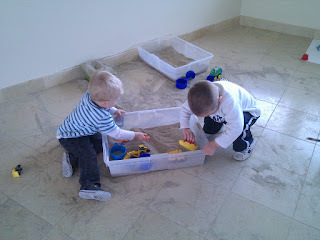 There were sandboxes, trucks, and coloring posters for the kids. . . 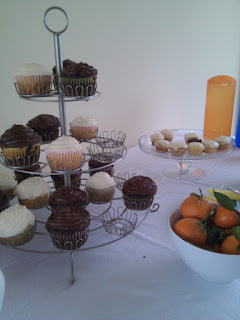 Treats (aren't those cupcakes gorgeous?). . .
After one too many falls in the slippery sand, Jared, who has the balance of a spinning plate on a pole in an earthquake, decided to play it safe and help me open gifts. 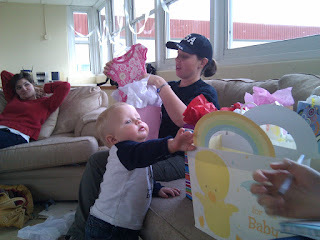 He was also very helpful at examining everything closely and trying on a few items for himself. Baby Sister is going to be decked out in style. 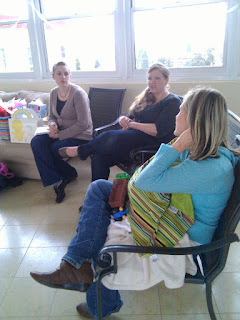 Thanks to all of you gorgeous mamas, especially to Dru and Jen, for this great surprise. I feel so loved! I really do have the nicest friends in the world.